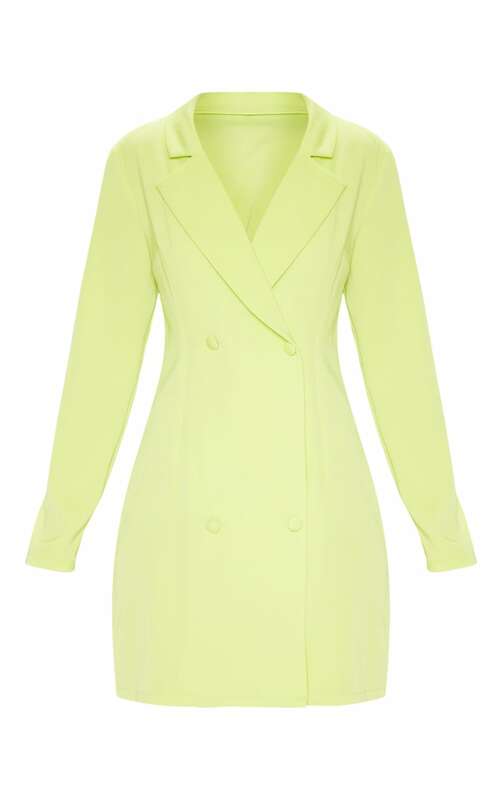 Neon is bang on trend right now and we are loving this blazer dress. 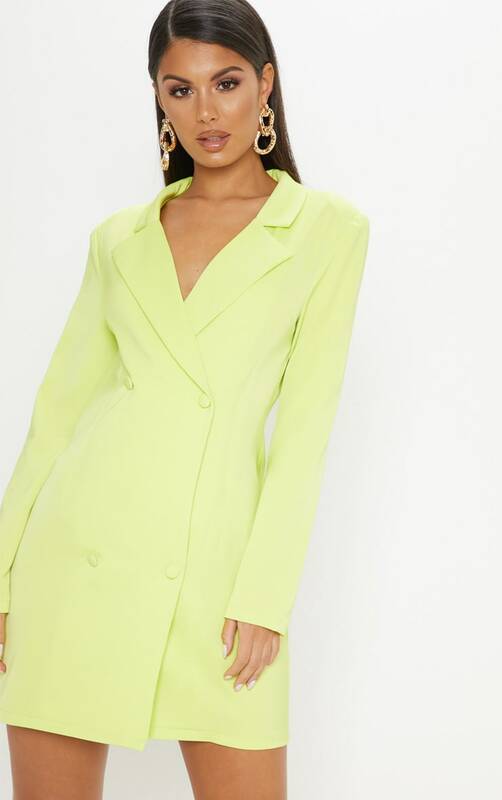 Featuring a neon lime fabric with double breasted buttons, long sleeves and tailored fit, what's not to love? Style with neon mules and a snake print bag for a look we're loving.